Fall is upon us and the holiday season is right around the corner. This season is shaping up to be bigger than ever for us in e-commerce. So, time to put down your Pumpkin Spice Lattes and dive right into the latest edition of the newsletter. According to Adobe, holiday (November and December) e-commerce sales this year are expected to rise 14.8% over last year to reach $124.1B. Nearly one dollar of every six spent on retail purchases will take place online. Amazon is even offering free shipping on all orders beginning November 5! 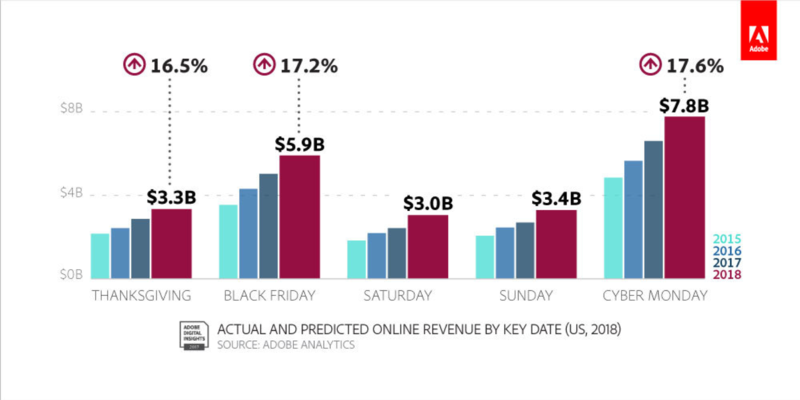 Cyber Monday is slated to become the largest- and fastest-growing online shopping day of the year” rising 17.6% to $7.8B. To put things into perspective, Amazon’s Prime Day was estimated to rack up $3.4B this year, despite the website being down on the first few hours of the event. It is predicted that 46 percent of all orders this holiday season will happen on mobile, with e-commerce mobile traffic growing 19 percent year over year. And to minimize the friction, especially for its millennial buyers, Shopify is partnering with Venmo, the PayPal-owned mobile platform, to create a faster mobile checkout experience. Shopify merchants who already have PayPal Checkout will see the Venmo option appear automatically. 2017 saw more than a 30 percent increase in e-commerce fraud attacks compared to 2016. Large e-commerce businesses have systems in place to fight online fraud, but smaller sellers with their own storefronts don’t always have the same advantages. Shopify recently rolled out fraud protection to U.S. merchants to secure orders automatically. Fraud Protect charges a small fee for every protected order, and if a protected order does result in a chargeback due to fraud Shopify will automatically reimburse your costs, including fees. Shopify is perhaps the only company at a >$1 billion revenue run rate to manage growth at a ~60% y/y pace. Extending an impressive run from the company whose scale hasn’t slowed down its growth, the commerce platform chose Los Angeles for its first physical location because it’s the most Shopify merchant-dense city. Fusing social media with e-commerce has been around since 2012 but no company has really managed to make it work in the western world. China seems to be leading the way with platforms like Pinduoduo, as shared in the previous newsletter. Another newfound titan of social commerce is Xiaohongshu (小红书), whose name means “Little Red Book”. 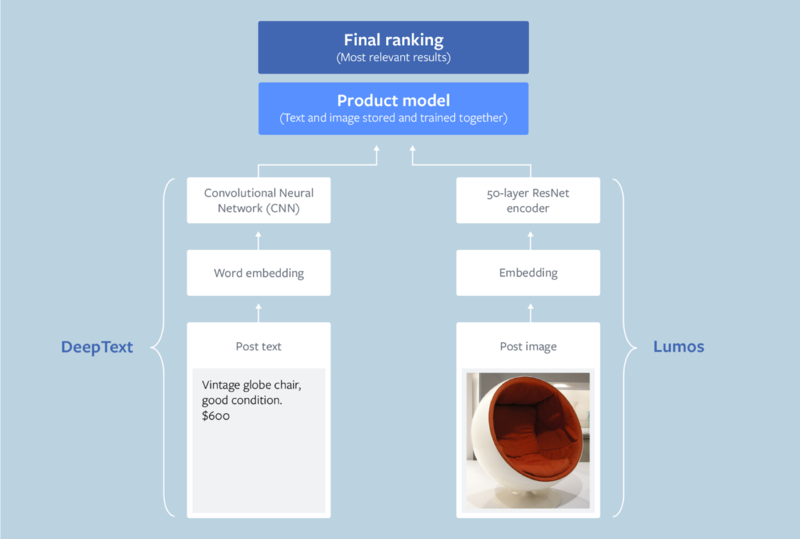 It is an e-commerce platform for luxury goods from overseas – primarily fashion and beauty products, with more than 100 million users and a valuation of $3B. It has built a highly-engaged community of savvy users who research and review their products extensively on the app. 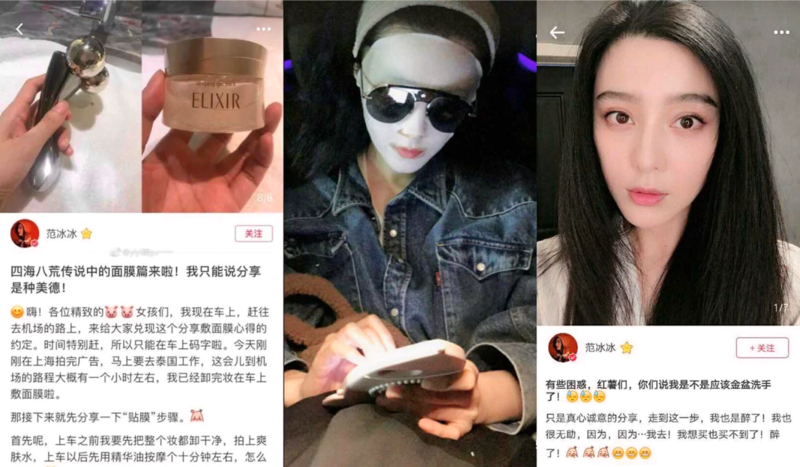 Due to the app’s high engagement, as well as its direct link to e-commerce, influencers on Xiaohongshu have even more clout than they do on other social platforms. Amazon launched Storefronts, which highlights deals from more than 20,000 small businesses across the U.S.
Don’t forget to check out our Shopify apps on the app store. Please tell us what you think. We’d love to hear from you. What Do Online Footwear Shoppers Care About? What is Affinity Marketing on Facebook?